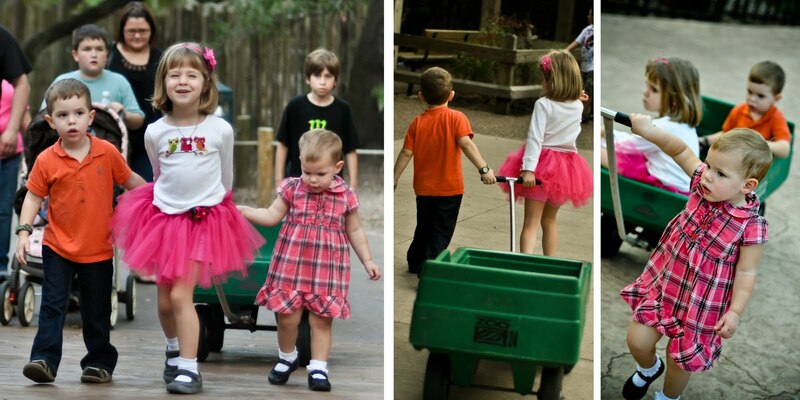 We spent the afternoon at the Houston Zoo with our friends, Emma and Clara, today. We always have fun when we get together, and today was no exception! 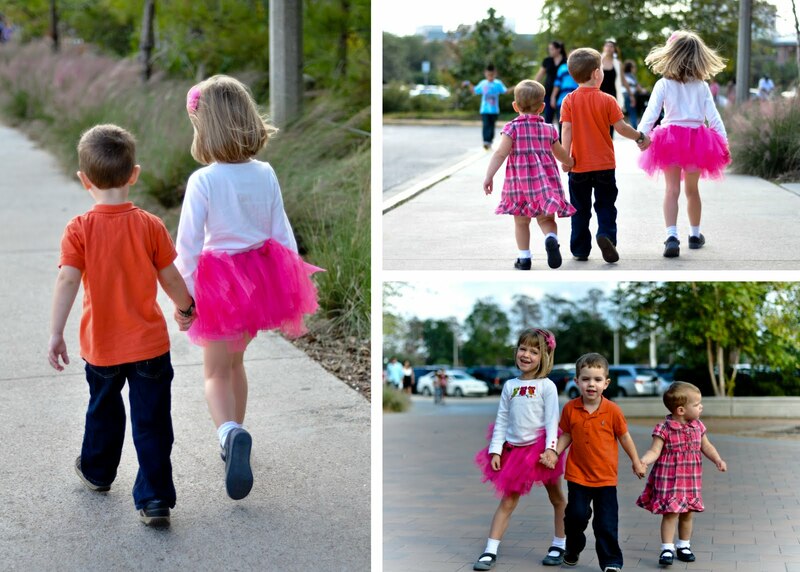 The kids walked hand in hand to the entrance of the zoo...such sweethearts! 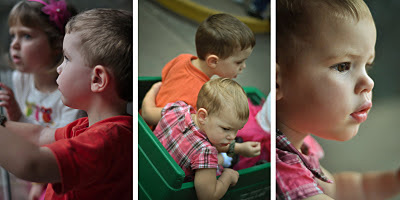 We picked up a wagon, and everyone had a turn pulling it around. It's been a while since we've been to the zoo, so this was really the first trip where Audrey has recognized the animals by name or sound or both, which was lots of fun! They were all simply fascinated by everything. There are more pictures of the all the action in the album! I absolutely love the laughter that fills our house when Jackson and Audrey have a little Daddy time! The daycare did a Thanksgiving Feast this week, and Jackson's class dressed up like Indians. 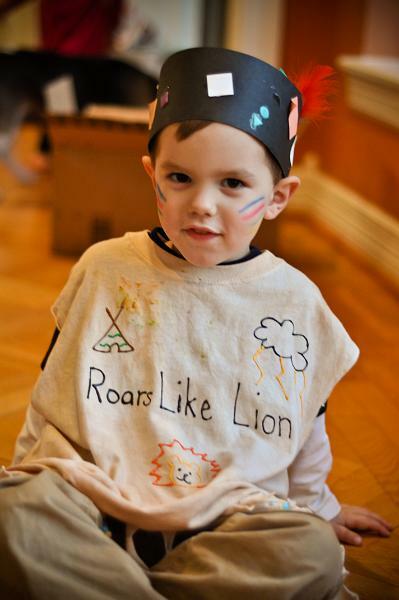 They each had their own Indian name, which was painted on their shirts. If you've been around Jackson for any length of time, you know his name suits him! Their teachers did a great job on their outfits! Audrey's big girl bed arrived on Tuesday afternoon, so we set it up and began the transition that night! 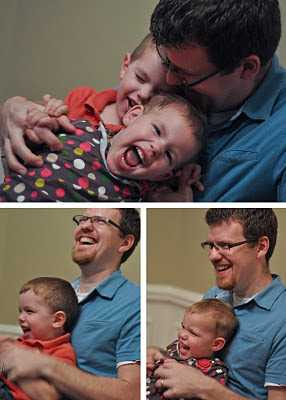 We transitioned Jackson when he was right at 19 months old, and he did great! Audrey is almost 20 months, and she is doing pretty well too. The first night was definitely rougher. She kept climbing out of her bed and crying, but after several rounds of consoling her and getting her to relax, she finally fell asleep. She fell out of the bed twice that night and once the following night. Last night she made it through the night without falling out of bed at all. Hooray! Most mornings have been similar to how Jackson responded. She wakes up, starts talking, and waits for one of us to come into her room before she gets out of bed. The first night she slept much later than usual, so we actually had to go into her room before we heard her say a word. I think she was already awake though. 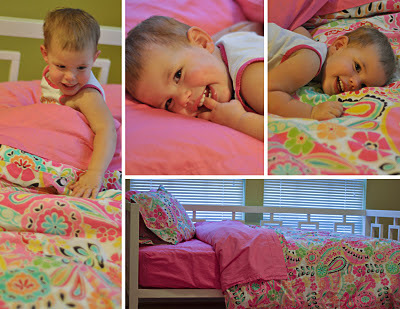 Here are some pictures of her crawling into her bed for the first time, and as always, there are more pictures in the album. We made our annual trip back to Ruston for engineering advisory board meetings and LA Tech's homecoming. This is the first year I haven't had to go to any meetings, so I enjoyed some extra time with friends and family! Here are some pictures of Jackson and Audrey playing in my grandparents' backyard. Jackson enjoyed pushing us on the swing and pulling Audrey around. He was quite the gentleman. He would pull one of the sides off of the wagon to make it easier for Audrey to climb in and out. They were too cute playing together! G.G (Great Grandmother) spent some time swinging with us too, and I just love this picture. Can you tell they are related? I think they look so much alike! We missed the homecoming tailgating since the kiddos needed naps, but we did make it to the game again this year. They loved it! 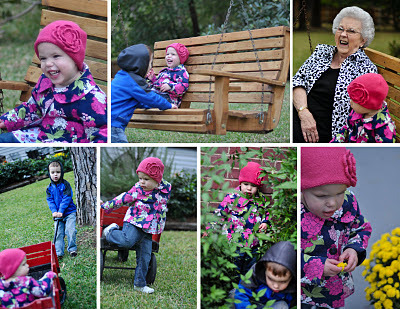 I didn't take any pictures at the game, but there are some more of the kiddos playing in the backyard in the album.